← It’s the Latest, it’s the Greatest, it’s the Li-berr-y! 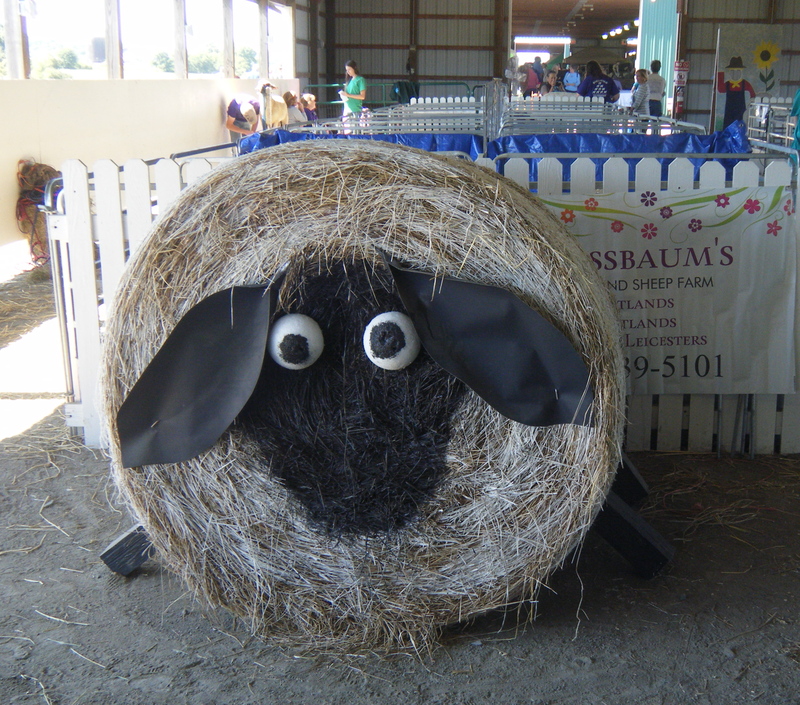 Cute and woolly four-legged things in 3….2…..1…..
Saturday was a glorious day weather-wise, so what better time to visit barns full of sheep and goats and alpacas than the New Jersey Sheep and Fiber Festival? 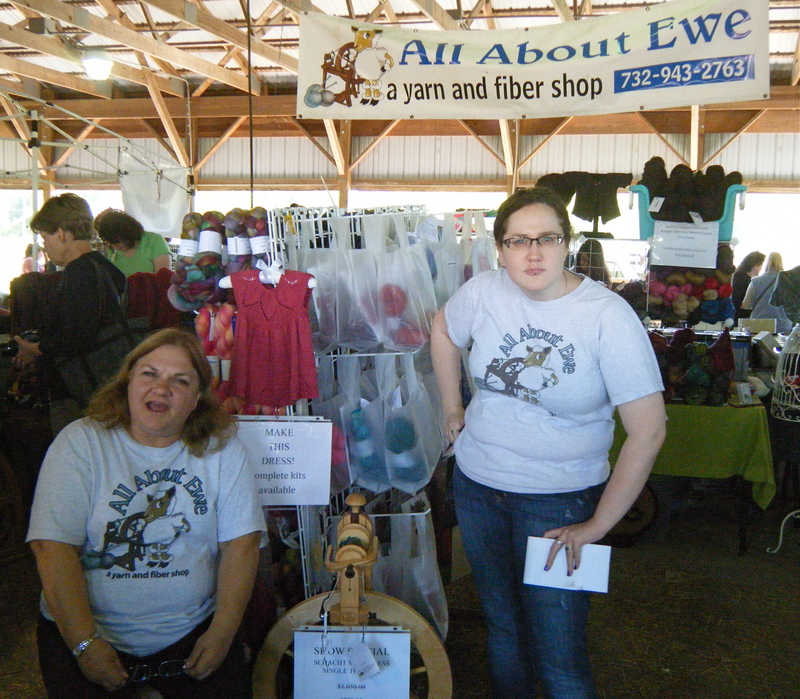 This is a very low-key, unhurried, and friendly festival, vastly different from the Big Momma that is Rhinebeck where you take your life into your hands trying to get near the yarn, much less trying to buy it. 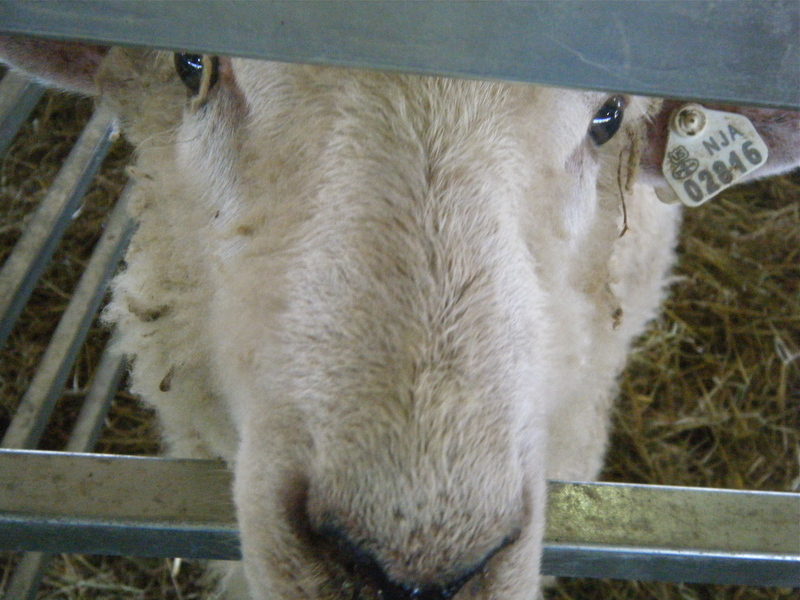 This was perfect for people who love to see their Sheep and Wool up close and personal. Look at my beauty. LOOK AT IT. 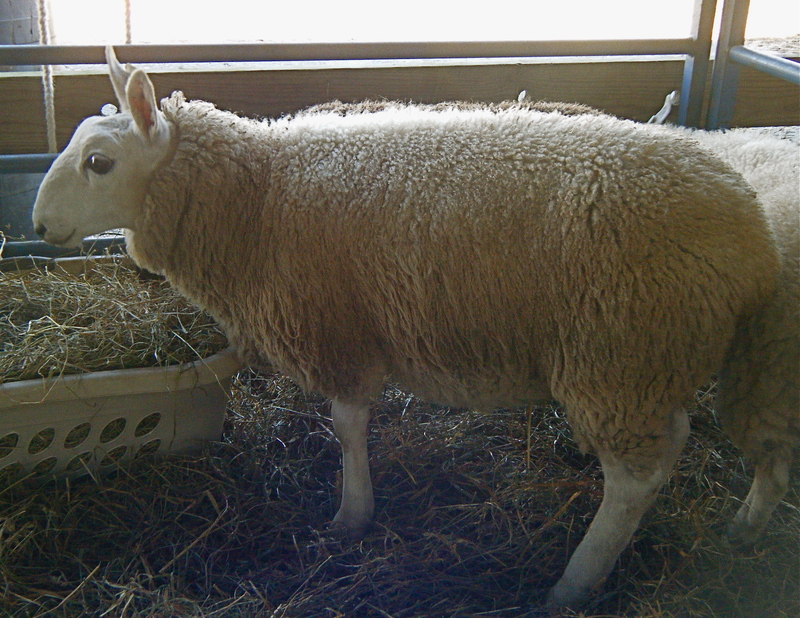 One of the nicest things about it was the presence of 4-H. Now, I grew up first in a city and then suburbia, and I know less about 4-H than probably most people, but there’s just something so hopeful to me about a group of younger people invested in the future of farming, home life, agriculture, and animal breeding, with a clear sense of purpose. See, this kid is young enough to be my son….my late-in-life bonus-baby son…. and he’s accomplishing something I wouldn’t have the first clue about doing. Those are some serious shearing scissors (oh HEY there alliteration!) 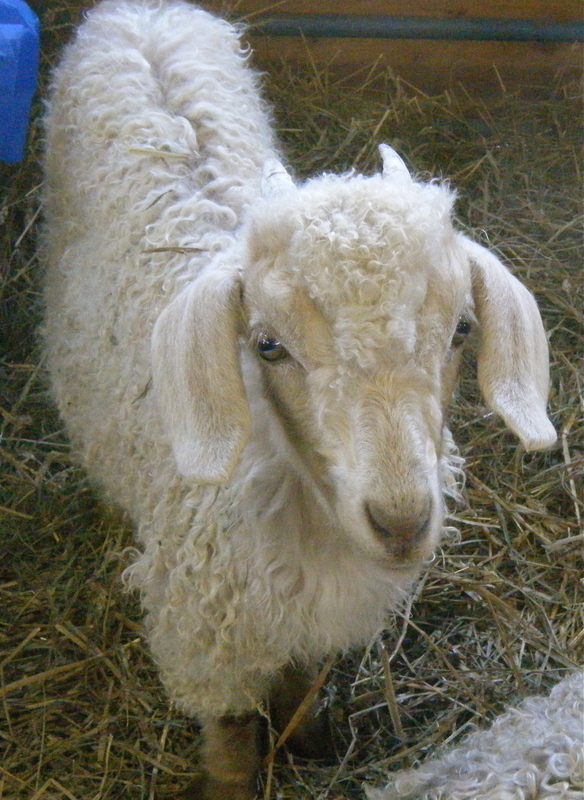 and I don’t know that I could be so calm in the face (or, in this case, the rear) of all that bleating and jerking. 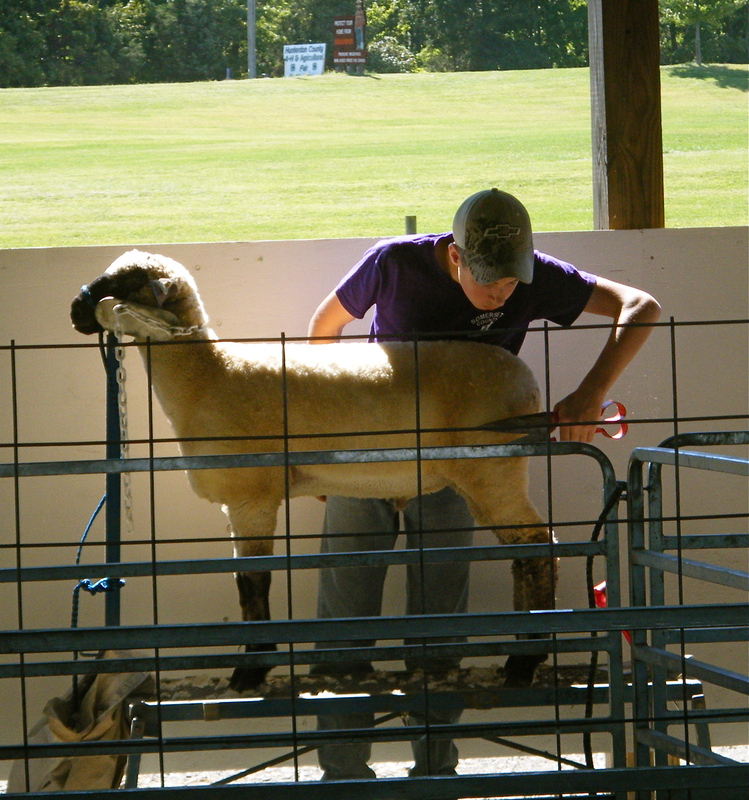 He just kept on keeping on, soothing the little fella and making him so beautiful for the judges. I was fascinated and not a little impressed. I loved these little guys! 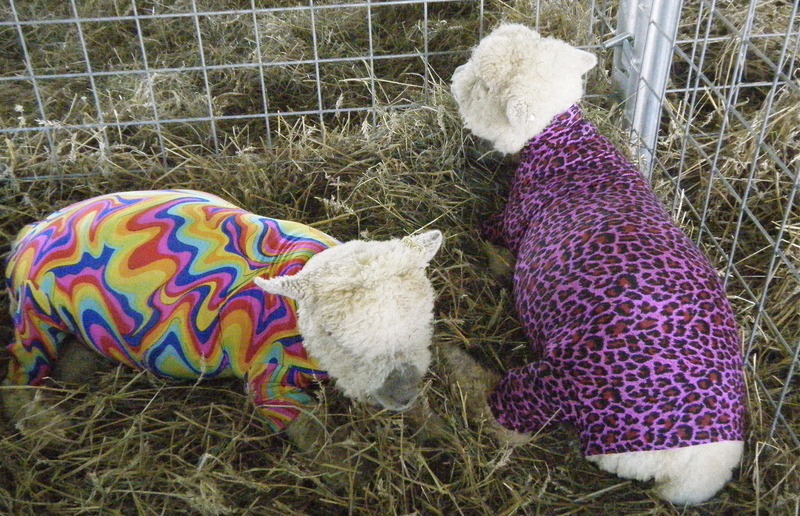 Just chillin’ in their cool outfits, stylin’ their best, too cool for the festival. 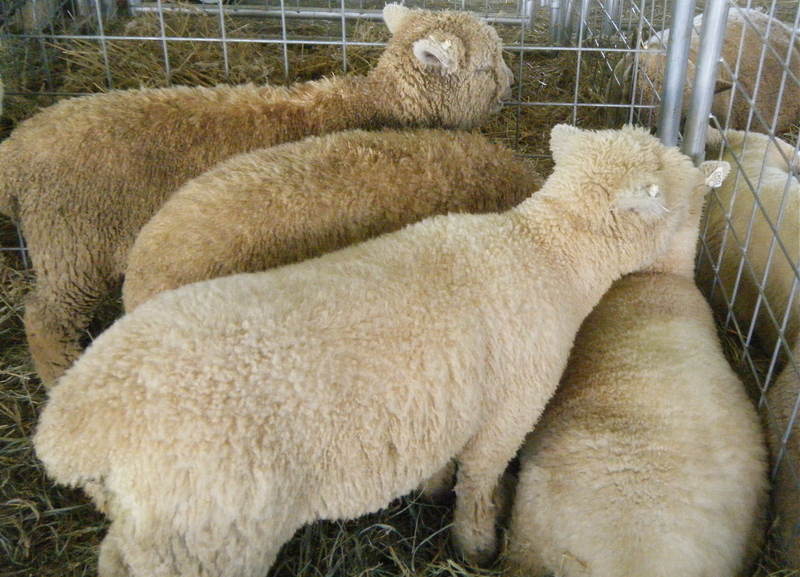 There was so much bleating going on, seemed they all had something to say. As a music teacher who has had ninety-seven third-graders simultaneously playing recorder, THIS was actually music to my ears. And, like ninety-seven third graders, they enjoyed clustering together to share the latest gossip, even if it means stepping on each other or being pushed by someone’s big head. 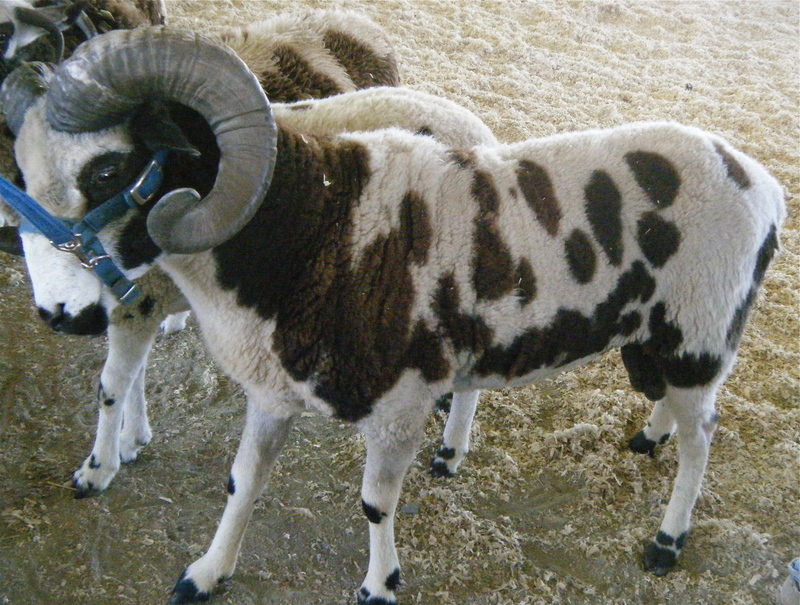 Those are some mighty impressive horns, sir. These alpacas were just into giving me attitude. And this one just wanted to strut her stuff. And her poop, apparently. … this one was just special. Perhaps they’ve never seen a camera before? Are they befuddled? Bemused? Angry? Hungry? Whatever the emotion, they are my very special and very favorite yarn shop peeps, and I lub them. Don’t tell the sheepies, but I tried some lamb sausage. It….was interesting. Very spicy, which I’m not a fan of, but a flavor that I’ve not had in other lamb dishes. I also brought home the obligatory bag of kettle corn. It’s against the law in America to not eat kettle corn when attending a festival, so for all you potential American citizens who read this blog, get used to that and be sure to answer that question correctly on your naturalization exam. 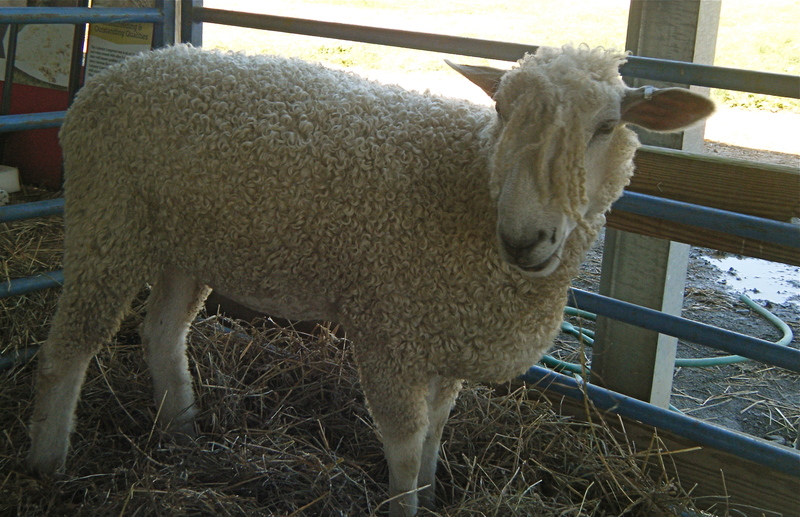 I also…..did not buy any wool. (I know. I just fainted myself.) I am trying VERY hard to not buy yarn for a year because a) the no job situation and b) I really do have an impressive amount of yarn already so why not do something with it? I looked at purchasing a beeswax candle of the 6″ pillar type, but I decided not to. 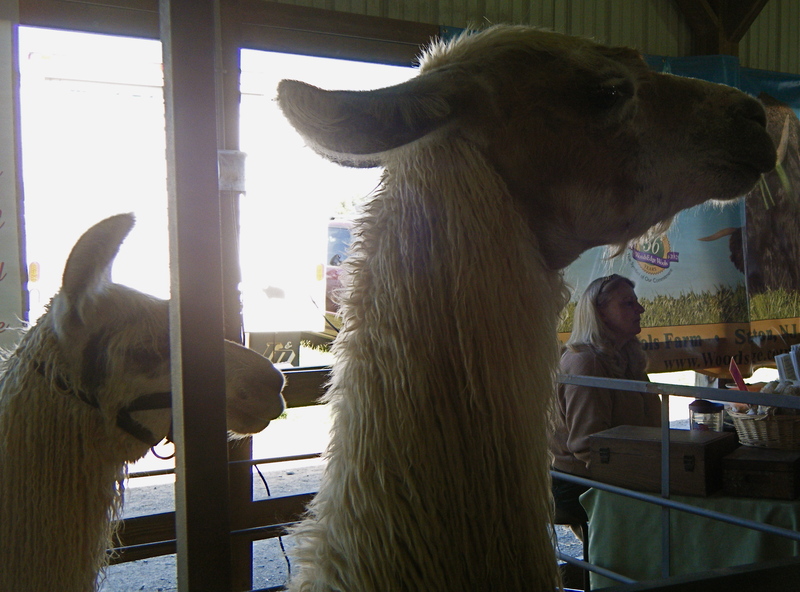 I picked up three different candles to find the price, I looked for signs for the price, I looked for a person to tell me the price, and apparently she was in the next booth trying to calm a wayward alpaca who had gotten his dopey head stuck through some bars. 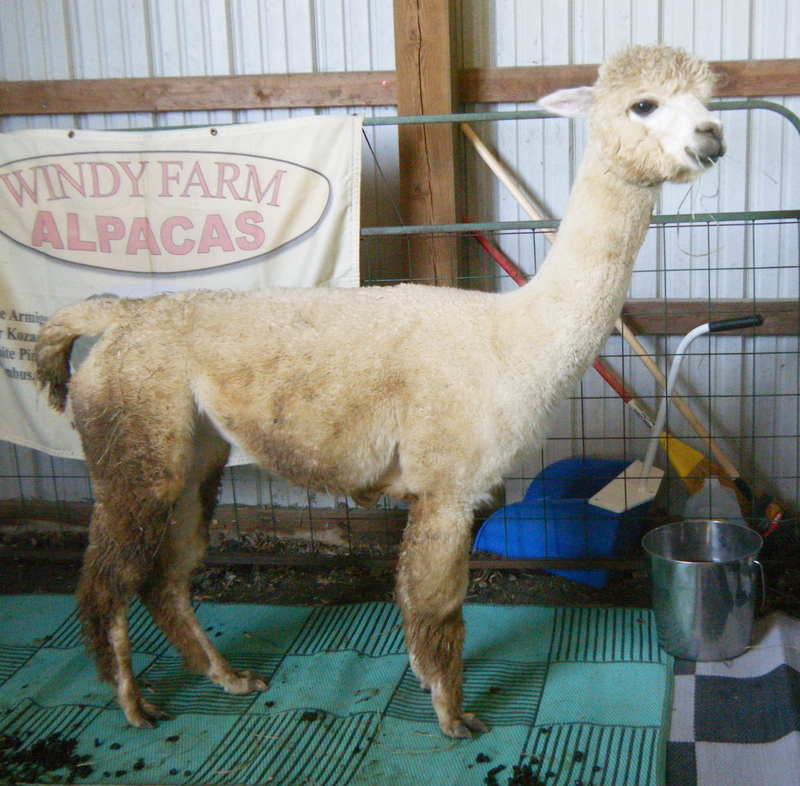 When she came back I asked if the alpaca was okay and she said “He’s not mine, so I really don’t care.” Whoops. Wrong attitude. “Well, can you tell me how much these candles are?” “All the prices are on the bottom, hon, it’s not hard to figure out!” she boomed. Whoops. Starting to annoy me. “Ummm….no, they’re not. That’s why I asked,” I answered, wondering why she refused to make eye contact. “Thirty-two fifty, hon, that’s the price!” For a candle? A candle that costs more than a huge pork shoulder roast better clean the house for that price! So that’s why I didn’t buy the candle. Ah well, I have the kettle corn.